In honor of our Motherhood May theme here on the blog, today I wanted to talk about a few of my very favorite independent clothing brands to shop for my two little ones. While it’s often designer pieces that gain cult following status when it comes to womenswear (hello, Gucci everything), the independent brands are the ones that mamas tend to lust after the most for their kiddos (hello, Freshly Picked). These are the high quality, fashion-forward pieces you see all over Instagram; the types of kids’ items you truly wish they made in your size too. Haylie Duff and Jessica Frank’s kids clothing line is a favorite amongst Team LC and all of our friends. Everything is made from the softest lightweight cotton, and they source, produce, and dye all of their fabrics locally in Los Angeles. 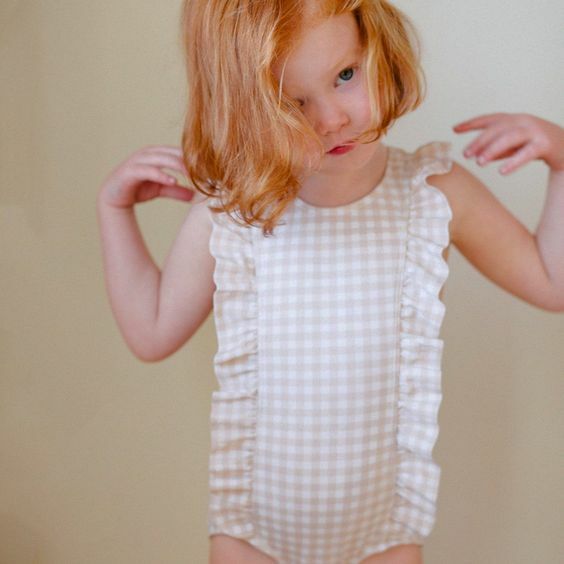 If you spend your summers by the pool or beach, your little one will look as cute as can be in a Minnow swimsuit. Designed by Laguna Beach alum Morgan Smith (nee Olson), Minnow embraces clean lines, sun-kissed color palettes, and purposeful details. 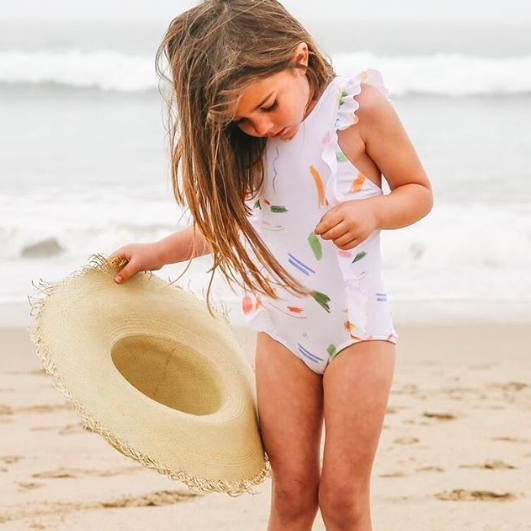 Made in L.A. from sustainable fibers or deadstock fabric, Ultra Violet Kids makes clothes that are playful, fun, and full of colors and patterns—perfect for your pint-sized hipster. 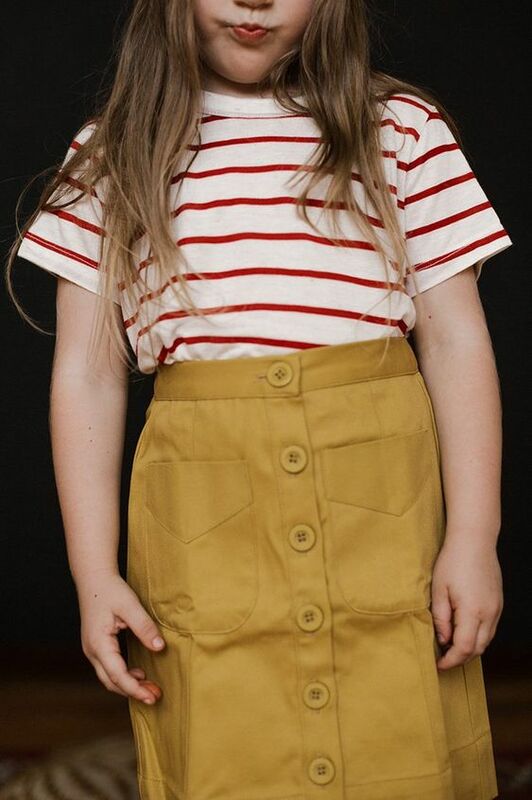 This kids clothing line (co-owned by Solly Baby’s Elle Rowley) is made in the U.S. and has a vintage, Pacific Northwest vibe. They make great basics like striped T-shirts and sweatshirts. Fawn Baby is dreamt up, designed and produced entirely in Los Angeles. Most of their apparel is handmade-to-order, which also means less wasteful production. The collection is made up of the most whimsical, colorful, vintage-inspired play clothes, that kids will love as much as you do. 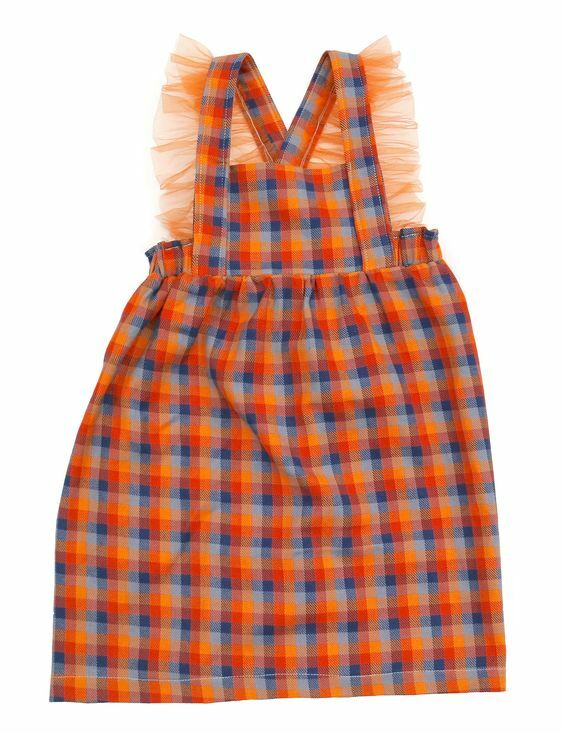 If you have a little girl who lives in sweet pinafores, rompers, and feminine dresses, then Little Minis will become your new go-to. All apparel is made in Los Angeles, California by a responsible factory, and the majority of the fabrics are deadstock fabrics. Don’t miss their new matching mama and baby collaboration with Christy Dawn. I recently discovered Rudy Jude at a local craft fair, but it seems I’m late to the game and that tons of mamas are already obsessed with this line. Their current collection features the cutest 1970s-esque terrycloth short and tank sets. And even better, all of their cotton is 100% organic and ethically sourced, and their clothing is dyed with 100% natural dyes. Made from 100% organic cotton, Kira Kids is known for the cutest graphic prints that will make your kids want to get dressed in the morning. (One of my daughter’s all-time favorite pieces of clothing comes from this line.) They also now make tees in adult sizes, in case you want to match your mini. One of my newest discoveries, this children’s clothing line is full of breezy, boho pieces for girls. Everything is environmentally friendly and handmade in Los Angeles. 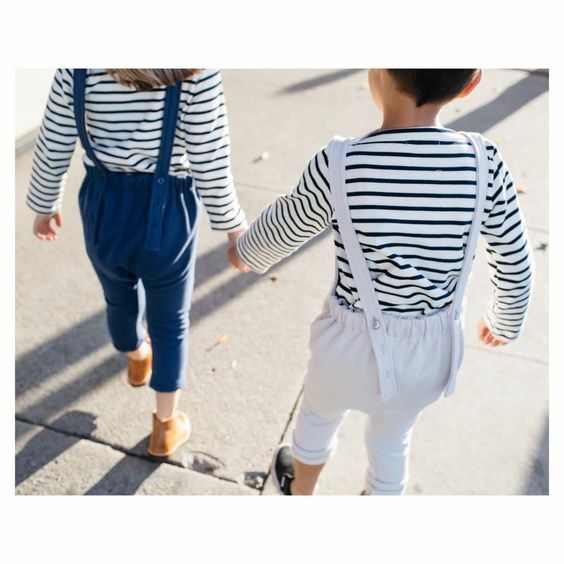 Made entirely in L.A. from fabric to sewing, Les Gamins is a great place to find high-quality, everyday basics for babies and toddlers that look good, feel good, at an affordable price point. Thoughtfully designed and sustainably produced, these all-season pieces are made for play. 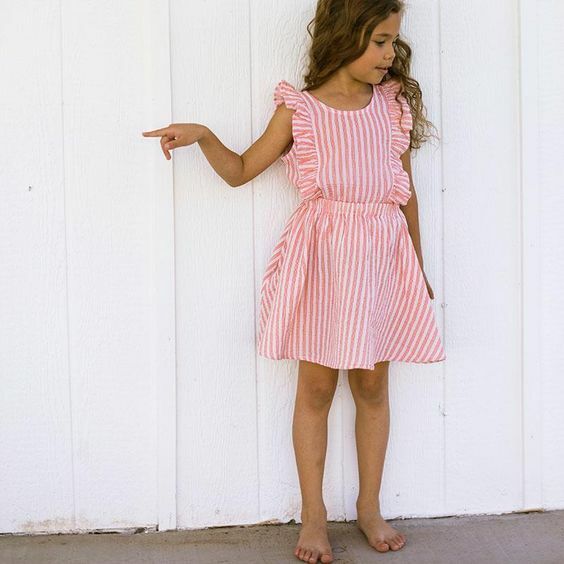 Alice + Ames is a U.S. based clothing line with adorable dresses and matching skirt/top sets for little girls. Everything is designed to strike the perfect balance between style and comfort, keeping both mamas and kiddos happy. Chic, cozy, and timeless, Sasha + Lucca makes precious pieces out of Peruvia alpaca wool and soft Pima cotton. My daughter flips for their tutu-style dresses and skirts. Do you have any other kids clothing brands you love? Please let me know about them below!